Kudrin considers judgment in the infamous Kozlov case unconvincing | Russian Legal Information Agency (RAPSI). MOSCOW, March 16 - RAPSI. 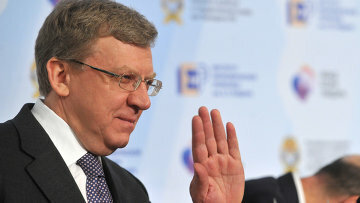 Former Finance Minister Alexei Kudrin said the court sentence in the case of entrepreneur Alexei Kozlov unconvincing. The businessman was found guilty of fraud with shares and therefore sentenced to five years in prison. "The decision in Kozlov's case is unconvincing. Many questions unsolved," the former minister wrote in Twitter. Kozlov's case has been one of the most high-profile in Russia in recent years. He and his wife journalist Olga Romanova claimed the case was a frame-up. They managed to secure the sentence reversal in the Supreme Court. Many legal activists and opposition politicians were outraged with the sentence. The Presidential Council for Civil Society and Human Rights does not rule out that the wife of the entrepreneur will interfere in the case. Romanova is actively participating in the opposition's protest activities. 12:17 16/03/2012 Former Finance Minister Alexei Kudrin said the court sentence in the case of entrepreneur Alexei Kozlov unconvincing. The businessman was found guilty of fraud with shares and therefore sentenced to five years in prison.